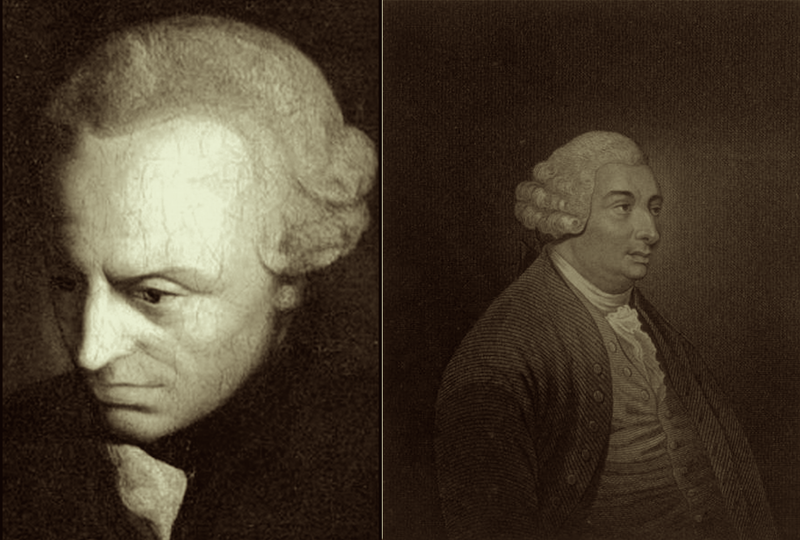 Immanuel Kant saw David Hume as an ally or predecessor than an adversary. In his published works Kant has constantly emphasized the importance of Hume. He has said that Hume had interrupted his dogmatic slumber. In his Critique of Pure Reason he confesses that he is pursuing a line of thought that Hume has originally proposed but has failed to fully develop. 1) Assume the causal relation to be rational. (2) If a relation is rational, it can be thought a priori and on the basis of concepts. (3) For objects to be causally related, they must stand in a necessary relation, such that if one object is posited, the other one must also be posited. (4) It is impossible to see by reason alone how the existence of one object necessitates the existence of another. (5) Therefore, "it is wholly impossible to think such a conjunction a priori and out of concepts." (6) Therefore, the causal relation is not rational. 7) Therefore, it is impossible to understand "how the concept of such an a priori connection can be introduced." (8) Therefore, it must have some other source or sources, and the most reasonable ones are imagination and custom. (9) But imagination and custom can produce only "subjective" necessity. (10) Metaphysics requires necessity based on intersubjectively valid concepts. (11) Therefore, metaphysics is impossible. (12) It is possible to introduce the concept of a priori connections by deducing them from the pure understanding. One can make a distinction between "local skepticism," or a skepticism that relates only to a certain class of propositions, and "universal skepticism," or a skepticism that involves the doubting of the justifiability of any knowledge claim. Kant believes that Hume essentially establishes a form of "local skepticism," with "universal skepticism" being a hasty conclusion founded upon the former. Moreover, Kant does not see Hume as denying the existence of necessary synthetic judgments, but only as denying a certain way of justifying them. So Kant thought that he needed to give only a limited answer to Hume. All he had to do was justify synthetic a priori judgments, whose existence was admitted by Hume. Manfred Kuhen also points out that among his friends, Kant was known as the German Hume. Kant did not object to being regarded as close to Hume.